ICYMI Trump’s State of the Union had almost no surprises… except an immigrant got the first standing ovation of the night. Watch Trevor Noah’s take on The Daily Show. WHO WILL REPLACE HUGH JACKMAN AS WOLVERINE? Marvel Studio’s president Kevin Feige has the answers. At long last, the X-Men are coming to the Marvel Cinematic Universe. If you wondered where the marvelous mutants were during the attack by Thanos–they were languishing in a contract with 20th Century Fox which owned the rights for many years (all the Bryan Singer films). There are still two films set for release under the 20th Century Fox banner, Dark Phoenix and The New Mutants, but once those are in the can, it’s off to the House of Ideas. The most significant aspect of Feige’s involvement in the transition involves finding a replacement for Wolverine. Hugh Jackman has been adamant that Logan was his final outing as the character. However, Donner didn’t rule out Jackman reprising the role at some point down the road as an older Wolverine says Comic Book Resources. 2019 IS THE CHINESE YEAR OF THE PIG People magazine breaks down your fate using Chinese astrology. According to ChineseNewYear.net, those born in a Year of a Pig “have a beautiful personality and are blessed with good fortune in life.” Pigs are likely to find 2019 to be a “transitional year” that contains tricky situations that are best overcome by sticking them out. WHO COULDN’T USE A KISS To brighten their day! SELF CARE What are you doing to do to take care of yourself today, or in the near future, as soon as you can? HOW COOL?! Our planet’s auroras do not mirror one another, and their varying shapes result from the interplay of the sun and Earth’s magnetic fields says the Science Times. Earth’s auroras, popularly known as the Northern and Southern Lights, are indisputably beautiful. They are also, perhaps surprisingly, not mirror images. You can imagine the two like mismatched dancers: Viewed from space, the Northern Lights may contort and groove in one direction, while the Southern Lights could perform a routine that doesn’t quite sync up with its partner’s. Research published in December in the Journal of Geophysical Research: Space Physics, reveals that the cause of this north-south auroral asymmetry is the angle at which the sun’s solar wind and magnetic field approaches Earth. The Aurora Borealis (Northern Lights) is seen over the sky near Rovaniemi in Lapland #Finland. LAME OF THRONES New “Exclusive” pics from the highly anticipated final season don’t show much. In the final season of Game of Thrones, everyone will be cold. That’s pretty much all you can learn from these new photos HBO has released from the show exclusively on Vulture. The show returns April 14 for its final six feature-length episodes. HBO’s kept the set tight with few rumor leaks but we do know it’ll kick off with Daenerys’s tense arrival in Winterfell, include a lot of big battle scenes, and will probably not be enough to stop people from misusing memes about the wall in politics. Vulture adds that HBO is readying a pilot for a Westeros-set prequel with a bunch of cool British actors and Naomi Watts, so don’t worry too much about leaving this whole cold world behind. JUST JONAS Priyanka Chopra Jonas sat down for an appearance on The Tonight Show Starring Jimmy Fallon on Tuesday night in New York City. On the show, the 36-year-old actress spoke about why she decided to add “Jonas” to her last name. If you still think you don’t have to worry about HIV and AIDS think again. “Beau Lester, he was 23 years old — born on May 4, 1994 — when he passed away on February 6, 2017. He was diagnosed sometime between November and January of 2014/15. I’m not sure of the exact dates. Beau took his own life. It was only after his death that I found out that he had completely stopped all treatment because he could not handle the side effects from them. From what I understand, he’d tried several different meds and they all had same effects. I think about him weekly, something always pops up to make me think of him. Sometimes it’s just driving past the mall we went to one day on a whim. Beau drove three hours to come pick me up so we could just go hang out at the mall, that’s just how he was. 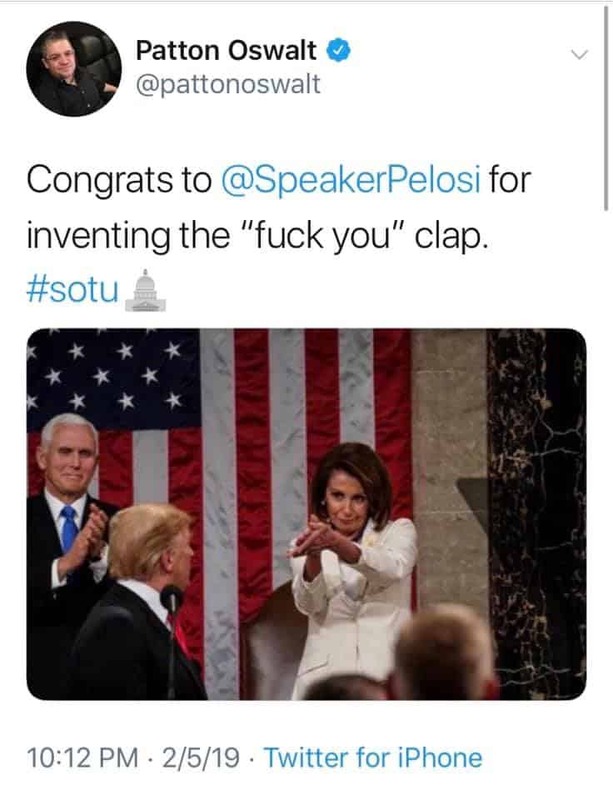 FACT The best part of Donald Trump’s SOTU was probably Nancy Pelosi’s hate-clap. WAS IT MURDER? A new CNN series investigates possible foul play in James Brown’s death. COMO ÇA VA? He’s French!